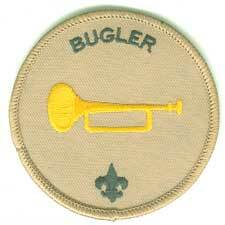 The Bugler makes appropriate bugle calls, as requested, at troop activities. Serving as Bugler can apply towards positions of responsibility requirements for Star and Life, but not Eagle. The Bugler plays a trumpet instead of a bugle.